We’re into the home stretch of 2015. 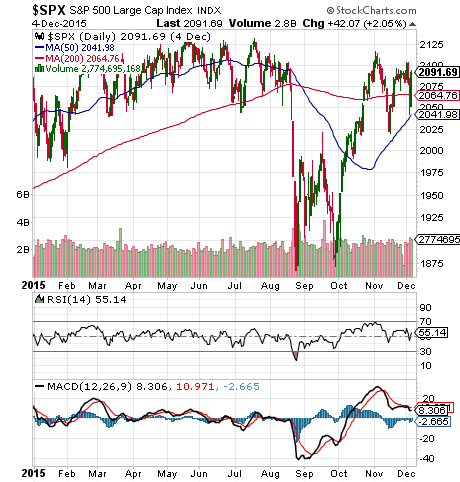 Will a Santa Claus rally emerge to propel the S&P 500 high into year end? Right now the S&P 500 is up 3% year-to-date. The October rally erased the September losses. But November brought a return to the flat market that was the norm for most of the year. Once again, the strong performance of a few mega-cap stocks are the force that is keeping the S&P 500 positive for the year. The vast majority of stocks have seen their stock price move lower this year. We’ve also seen the MACD trend lower over the last month… an indication that there isn’t momentum leftover from the October rally. Energy stocks are clearly a headwind for US stocks. So, it should come as no surprise that the price of oil is moving lower again. One thing that has been a positive for US stocks is the strong US Dollar. Historically, the S&P 500 moves in lockstep with the value of the US Dollar. And the dollar has been showing signs of resuming the uptrend that has been in place over the last few years. 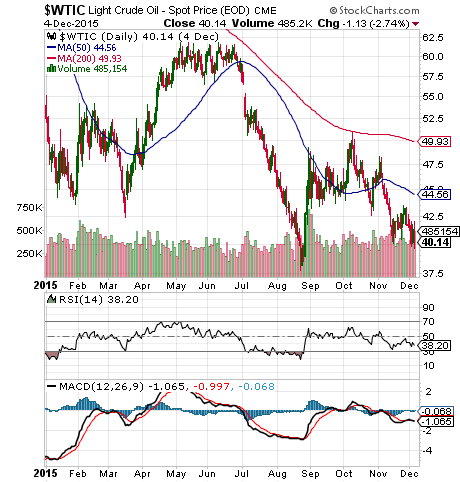 However, the strong US Dollar continues to put pressure on commodity prices and emerging market stocks. So, there’s a good chance a Santa Claus rally will help lift US stocks. But the gains are likely to be concentrated in sectors that aren’t exposed to commodities. There’s a good chance a Santa Claus rally will help lift US stocks. 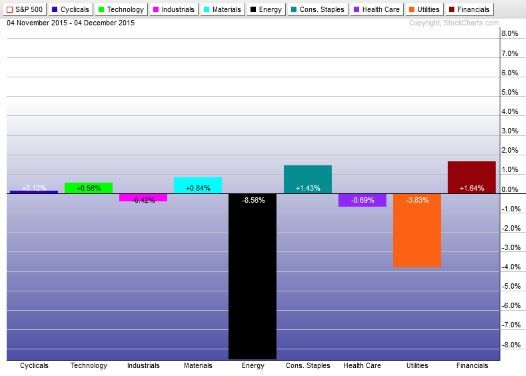 But the gains are likely to be concentrated in sectors that aren’t exposed to commodities like oil.